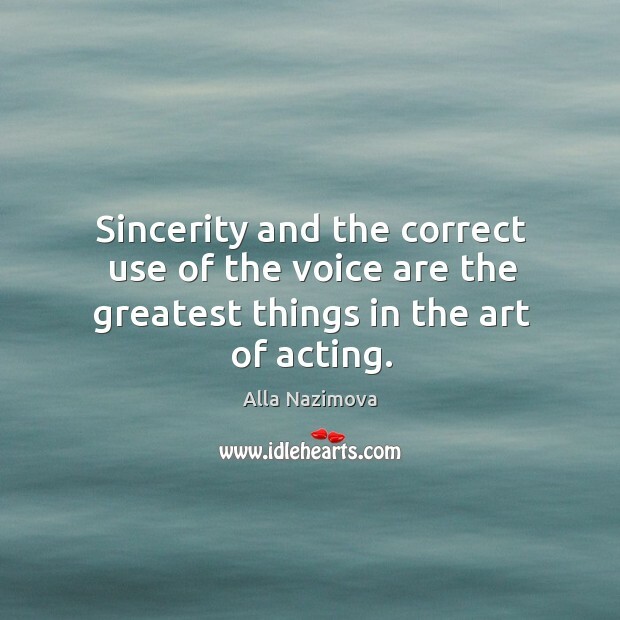 Enjoy the best inspirational, motivational, positive, funny and famous quotes by Alla Nazimova. Use words and picture quotations to push forward and inspire you keep going in life! The actor should not play a part. 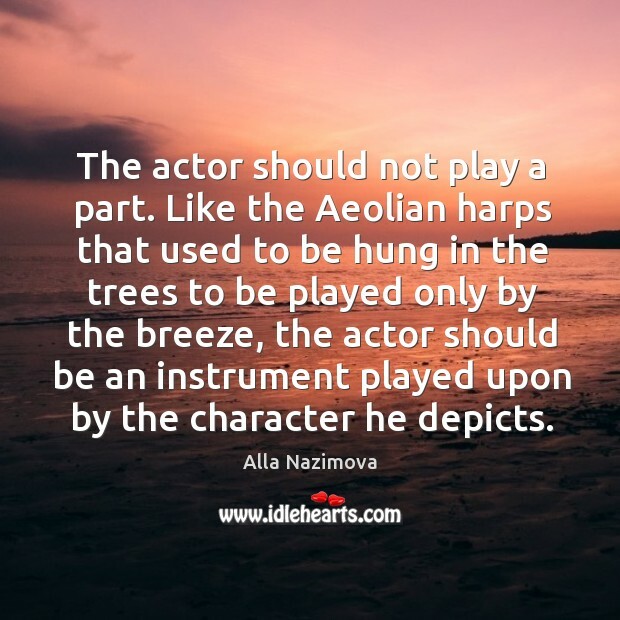 Like the Aeolian harps that used to be hung in the trees to be played only by the breeze, the actor should be an instrument played upon by the character he depicts.